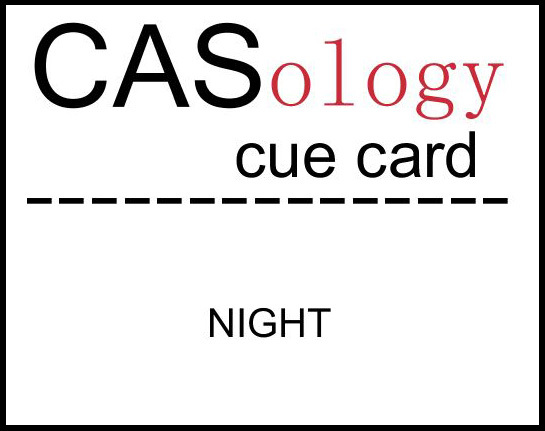 Today's CASology Cue Card is Night. I started with a simple panel of navy and embossed the star (unknown) and the sentiment (Inkadinkado) with Lightning embossing powder (Sparkle and Sprinkle) - it's really sparkly in real life. Then I thought it needed something. So I used my old cloud template (I made it out of cardboard years ago when Stampin' Up sold out of their fancy plastic version!) and sponged some navy ink onto the panel. Instant drama! Yes, it's occurred to me that it wouldn't be cloudy if you can see the stars, but I'm claiming artistic license here, lol! 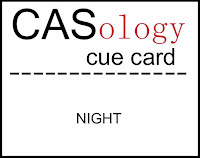 We can't wait to see what you come up with for this week's Cue Card. Ardyth your background is just fabulous! Great Christmas card. Gorgeous card! I find the shadows in the background very interesting! Strikingly elegant, Ardyth! I love it! Very stylish and lovely, Ardyth! Very dramatic, Ardyth! I think it looks like the view from above cloud level, so it works for me! I'd chalk up the cloud/star thing to the magic of Christmas! :P I've seen sponged cloud bg's before, but not for night -- it's gorgeous! Oh la la...love how you inked up the clouds..the perfect touch! this is so beautiful, ardyth! i love your sponged background and the embossing is perfect! 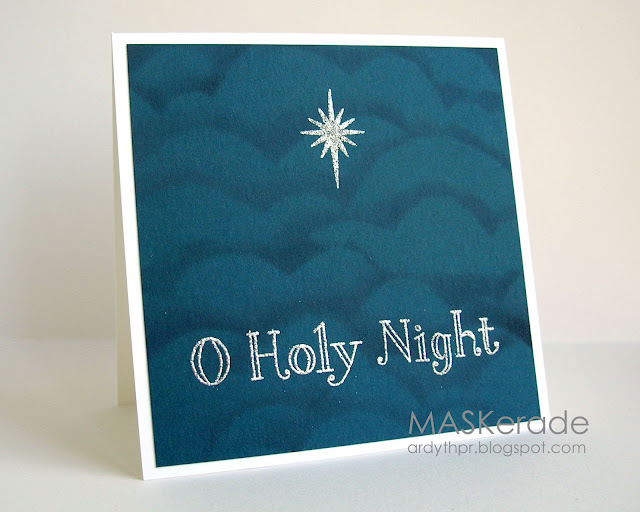 I love the embossed star and the embossed clouds really take this one to the next level! Simple and stunning! Love the sponged clouds! Well, except, IMHO, you would see THAT star, right?! It is stunning and good for you for making your own template out of cardboard!! Gorgeous background, Ardyth. Thank you for your embossing tips. Beautiful! The inked clouds are gorgeous - love the clouds! Love that background! Wouldn't have thought to make clouds on a dark background...DUH! Gorgeous card!